The first game of the section proved to be a very challenging linear game that also included grouping elements, as you were asked to order five reports of different types and topics into two segment groups, one with 3 reports and the other with 2. The ordering was done by length, and both segments had to be considered individually when determining report order (that is, the longest report overall, N, could be the first report in either segment; similarly the shortest overall report, S, could be the last report in either segment). While not a traditional Template game, it was possible, and I think useful, to produce four templates based on the placement of N and S: two templates with N as the first report in the 3 group and S either last in the 3 group or last in the 2 group; two templates with N as first in the 2 group with S last in the 3 group (N paired with T or W) or S last in the 2 group (with N). Due to the high amount of uncertainty in this game however, these four templates only serve as partial solutions, as you cannot fill any of them in completely. The six questions in this game were all fairly typical, and included mostly Local questions–no surprise given the wide range of possible arrangements allowed for by the rules. Savvy test takers would have recognized the difficulty in the setup early on, and likely saved this game to be done later in the section. Game 2 is a very straightforward linear game, where five neighborhoods are ordered based on when a realtor showed a client a house there. The four rules are extremely limiting for a number of variables (R in 1 or 2, T in 1 or 5) and spaces (3 must be Q or V), leading to some good Not Laws and inferences: V cannot go 1st, 2nd, or 5th; Q cannot be 5th, etc. The questions were also fairly simple, with two points of particular interest: question 7 is one of the easiest Games questions in recent memory (tests merely the consequence of moving Q away from the Q/V option in spot 3…V must be third), and question 12 is a Rule Substitution question, a new-ish type we’ve seen LSAC introduce and continue to employ in recent years. Test takers who noted the difficulty of the first game and moved on immediately to Game 2 were rewarded handsomely for the decision. Regardless, this was a very friendly game and definitely helped to balance out Game 1. The third game on June 2014 is a Balanced Grouping game, where five artifacts are being assigned to their countries of origin, Iceland, Norway, or Sweden. While not a tremendously complicated game, some of the difficulty here arises from the fact that the 5-into-3 distribution is almost completely unfixed (only partially defined). The only information we are given about it is that a group of at least two (W and Y) exists, and more artifacts are from Iceland than are from Norway. However that only tells us that Iceland has 1, 2, or 3 artifacts, and Norway has 0, 1, or 2 (and cannot get the WY block, which answers both questions 15 and 17!). Still a lot of uncertainty then in group sizes, which is never a great thing. 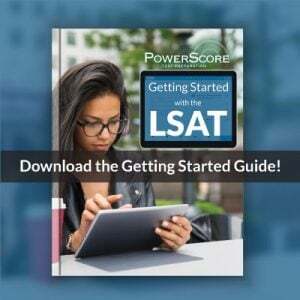 Arguably the most difficult, and certainly the strangest, game on the June 2014 LSAT was the fourth game, where four employees are transferring workpieces among themselves over a four-day workweek. While that sounds simple enough, two critical elements are present that confounded the vast majority of test takers: (1) what’s being tracked is not the workpiece itself, but rather the transfer from person to person (in fact, the workpiece idea is entirely irrelevant), and (2) the three extremely basic rules merely banned three transfer possibilities (J to M, K to J, and L to J). What this creates is a Pattern game, meaning the rules aren’t specific to a single space or person per se, but instead create an overarching system limiting the way the game can progress. This is a VERY rare type of game that hasn’t appeared in years, although we do cover this type extensively in our courses and books, so PowerScore students as a whole fared quite well when they encountered it! Again, templates are possible for day 3, where the two above would each split into two (total of 4) based on the choice of L or M from K (above left) and K or M from L (above right). I won’t write these out, as they’re probably not necessary, but the pattern has been established and the specific transfer sequences should be clear. Needless to say, for test takers who have never been exposed to a Pattern game this was an incredibly confusing situation, and many people reported not being able to even start the game–no diagram, inferences, or insights whatsoever. The only upside at that point was that Game 4 has the fewest questions (5) of any on the test, so with guessing it probably only cost people 4 points. Still, a really disheartening end to an already-tricky section. 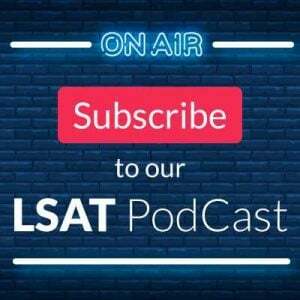 In conclusion, two of the four games on the June 2014 LSAT were entirely straightforward (one, Game 2, exceptionally so), while the other two presented a genuine challenge for even the most seasoned test takers. The inclusion of a Pattern game, and the general difficulty of the Linear/Grouping combination (a type most people tend to find comfortable), made this one of the most challenging Logic Games sections in recent history. It also lends further support to the absolute necessity of solid, comprehensive preparation! 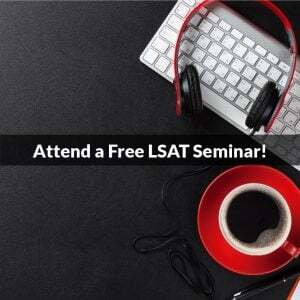 Have any questions about the June 2014 LSAT or Logic Games in general? Please post them in the comments section below.